The American Academy of Sleep Medicine (AASM) Board of Directors met in New York on the weekend of April 20-22, 2007, for our fourth meeting of the 2006-2007 year. We spent the weekend discussing important issues facing our society, profession and field. The Board reaffirmed its commitment that diplomates of the ABSM will continue to be recognized as directors of AASM-accredited sleep centers and laboratories. Certification in Sleep Medicine through the new examination sponsored by boards of the American Board of Medical Specialties will not be required for existing ABSM diplomates. Nevertheless, the AASM urges all eligible members to consider sitting for the new examination during the “grandfathering” period, because it is possible that the landscape of the sleep medicine field may change in the future, resulting in this certification becoming important in areas such as practice privileges and reimbursement. The Board approved changes to three accreditation standards. First, standard 2 has been altered to allow for logistical considerations which dictate that many sleep fellows will have to wait 6-18 months before they can apply to take the board certification examination in sleep medicine. Such candidates who have completed an ACGME-accredited sleep fellowship will now be able to serve as directors of laboratories and centers while they are awaiting the first opportunity to apply to sit for the examination. Second, standard 3 has been altered to require by July 1st 2009 that each accredited center and laboratory have on staff a sleep technologist certified by the Board of Registered Polysomnographic Technologists (BRPT) or accepted to take the BRPT examination. In addition, technologists not certified by BRPT will need to have completed a CoA-PSG accredited training program or be enrolled in an A-STEP program. The motivation behind this change is the recognition of the vital importance of establishing educational standards for sleep technologists. Third, Standard 4 has been altered to allow any ABSM diplomate to determine by chart review whether a directly referred patient has an indication for polysomnography that conforms to AASM standards of practice parameters. Inadvertently, the current wording excludes non-physician diplomates from this role. This description of the changes in the accreditation rules should be regarded only as a summary: I urge you to review the actual new wording in the standards to determine the nuances and details. I am pleased to announce that, in keeping with its goals of eventually developing independent academic sleep units, the AASM will be announcing a new program to recognize comprehensive academic sleep programs of distinction. These programs will have met rigorous standards in the areas of clinical service, educational mission and research accomplishments, and will demonstrate a degree of autonomy in their own administration. Not all university-based sleep centers will fulfill these criteria but we hope the successful recognition of the most distinguished programs will serve as an incentive for academic administrators to work with their sleep centers to reach the same standards for others. Recognized programs will be able to compete for a yearly one year ASMF grant to contribute to the sponsorship of a fellow for training in sleep research. 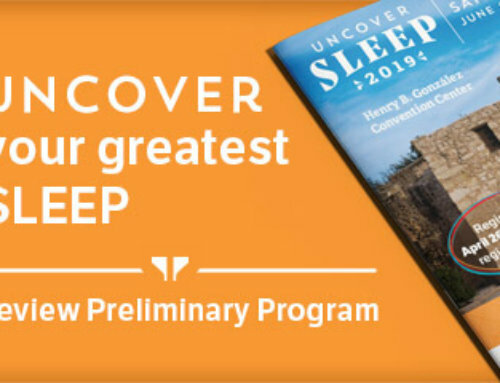 In addition, all recognized programs will be awarded a yearly travel grant to permit one of their fellows to travel to the annual SLEEP meeting. I would like to emphasize that this new recognition program is unrelated to accreditation of clinical sleep centers and laboratories and will in no way affect the clinical accreditation process. The Board approved a new standing committee, the Academic Affairs Committee. Its general goal is to promote Sleep Medicine as an academic specialty in medical schools. The committee will work towards the establishment of interdisciplinary academic sleep units, established as independent entities outside of traditional divisions and departments. Its first specific responsibility will be the administration of the new Program of Recognition of Comprehensive Academic Sleep Centers of Distinction described above. In addition, the committee will take over the activities of the Presidential Committee on Medical School Education, ably led over the last year by Clete Kushida, MD, PhD, RPSGT. It will strive to promote the teaching of sleep medicine to medical students at every medical school in North America. I should emphasize that the new committee will not deal with sleep fellowship activities, which fall under the mandate of the Fellowship Training Committee. The Board established a task force of experts to develop recommendations for the laboratory titration of positive airway pressure. It is hoped that a document can be produced which will set appropriate standards for these techniques. The American Sleep Medicine Foundation is pleased to announce the winner of the portable monitoring RFP. Following a rigorous evaluation of all applications by an independent scientific committee, the ASMF Board of Directors voted unanimously to award the grant to Carol Rosen, MD, Principle Investigator, and Susan Redline, MD, Co-Investigator of University Hospitals of Cleveland Sleep Center and Case Sleep Research Center, Case Western Reserve University in Cleveland, Ohio. We congratulate the awardee and also thank all other applicants for the high standard of their proposals. The AASM awaits with interest the results of the study. The Board has established investigator section awards. 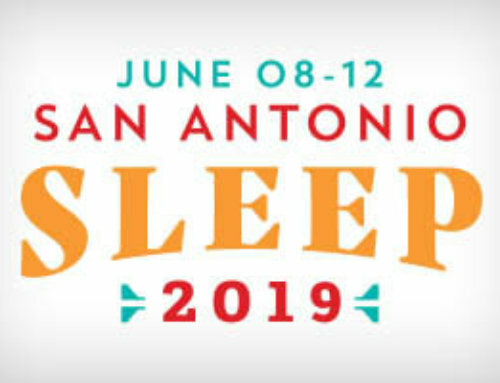 Each membership section of the AASM will have the opportunity to select the best abstract in its area submitted for the annual SLEEP meeting. The winners will have the opportunity to present their abstracts at the section meetings and will also receive a monetary award. The first awards will be presented in Minneapolis in June 2007.